In the food industry these tanks are used for milk homogenization purposes, and for mixing products like peanut butter or chocolate. Among the many industries that depend on food grade tanks is meat packers and processing plants, who rely on stainless steel tanks for mixing meat with additives or for blending sausage. 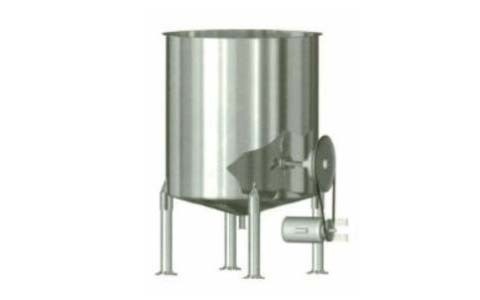 The brewing industry uses food grade tanks for fermentation vats and adding yeast, and in the citrus and fruit juice industry, 304 stainless steel is used from harvest to finished product. These tanks are also important during the water purification process and for clean water storage. Stainless steel is always resistant to rust and corrosion, although that attribute varies according to the percentages of specific alloys. It is also smooth and free of cracks and pits. This steel neither adds to nor detracts from flavors and is non-contaminating. It is a good conductor of heat which allows for effective temperature control. Food grade steel has excellent durability and toughness; it remains strong down to cryogenic levels, or temperatures -238° F or lower. It also has good creep strength, which is the ability to resist distortion when exposed to high temperatures. Stainless steel is produced when steel and certain ratios of alloy are melted together. They are made from 304 stainless steel, steel that is 18% chromium and 8% nickel. Different amounts of alloy result in different characteristics, and there are hundreds of combinations or grades. Once the molten steel is homogenous, it undergoes deoxygenization. It is annealed and cooled quickly. The steel may also undergo passivation and be immersed in an oxidant like nitric acid to remove the surface layer of iron. This produces a clean surface that can be painted, plated or finished. Another option is to dip the steel in an acid bath to eliminate any scaling that occurred during cooling for a better polished appearance and easy cleanup after usage. During tank fabrication, stainless steel is cold rolled through a series of rollers that gradually bend the sheets until the desired curve is achieved. The seams are welded or bolted together, though welding provides a superior watertight finish. Usually cylindrical in shape to resist hydraulic pressure, these stainless steel containers may have multiple intake ports, manways and valves as well as heating and cooling jackets to achieve and maintain a desired temperature. Some have agitators to mix and blend the contents while others have spigots or spouts to release the liquid inside. Lids are necessary for a variety of applications though other tanks are enclosed or are open-top. 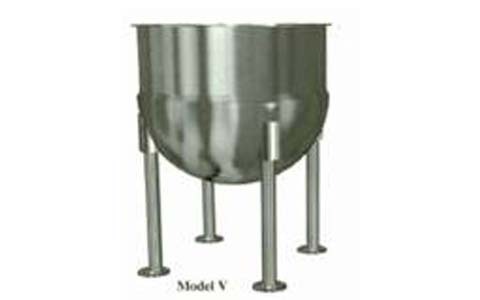 Food Grade Tanks Food grade tanks are sanitary metal containers used for food processing and storage. Because of FDA regulations and standards for food handling and processing in terms of sanitation and bacteria growth, 304 stainless steel is a suitable material to use when handling, preparing and storing consumable substances like fruit, meat, milk or vegetables.